I, dr. Jeroen J.L. 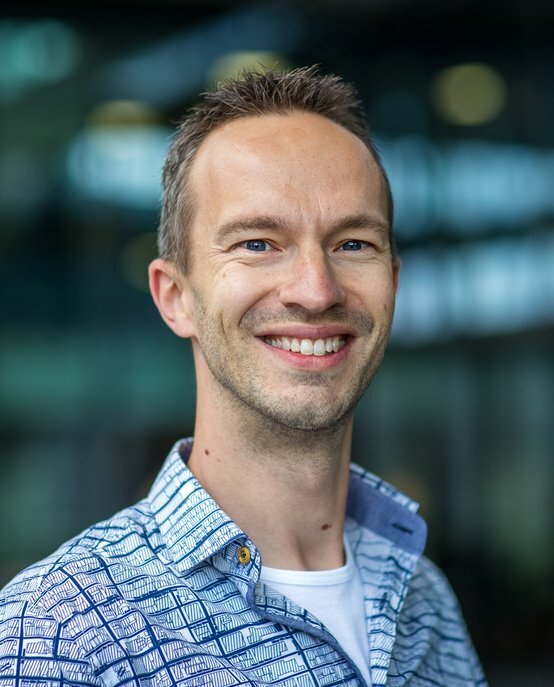 Schepers, am Associate Professor of Frontline Service and Innovation at the Innovation, Technology Entrepreneurship & Marketing (ITEM) group at Eindhoven University of Technology in the Netherlands. My research interest is centered on managing the service delivery process by means of frontline service employees and technology. In studying such processes, I take an innovation focus. In other words, how should employees be managed to improve products and services? Or: how can new technology interfaces such as robots, self-service options, augmented reality, or wearables, successfully augment or replace service employees? For example, many managers require their frontline service employees to work efficiently, because after-sales service is considered a cost-only activity. However, these employees are an important, underrated source of knowledge that can be used to improve products and services. Plentiful face-to-face encounters provide these employees with excellent opportunities to gather firsthand customer reactions, create ideas to revise existing routines, and work towards a better market offer accordingly. This requires to see employees and customers as a research & development resource. It also requires a different leadership style, other control and reward structures, and a reallocation of employees across service jobs and customers, because not every employee is equally effective in acting as a source of knowledge and innovation. Another challenge is to balance innovation efforts in the frontline with job productivity/efficiency, and customer satisfaction. As another example, companies are increasingly providing customers with technology-driven service delivery options that provide customers more control over the service, but dramatically change the relationship between customer and firm. For instance, hotels start to implement check-in and luggage robots, supermarkets have "virtual stores" in metro stations where customers scan products with their smartphone to be delivered at their homes later, call centers are replaced by voice and chat bots, and health care providers empower patients in their treatment with wearable trackers. These developments trigger a plethora of questions: Why do users adopt these innovations? Does it benefit or harm the value offered by the firm? What characteristics should a robot have to optimize customer satisfaction (e.g., tone-of-voice, speed of responding, detail in answers)? Which service channel should be employed for which customer segment? Etcetera. I have published papers on these and other topics in Journal of Marketing, Journal of the Academy of Marketing Science, International Journal of Research in Marketing, Journal of Service Research, Journal of Product Innovation Management, Journal of Business Research, Industrial Marketing Management, Information & Management, among others. My current h-index is 16; i10-index is 16 (according to Google Scholar, updated April 2019). I have supervised multiple PhD students whose work has been published in high-quality academic journals. I enjoy coaching young, talented people... to think critically;to conceptually model complex real-world service phenomena;to gather and analyze data in an academically valid and reliable way;to come up with valuable business implications;to write up their story in a concise, convincing, and attractive style;with the ultimate goal: to grow in their personal development and have a successful career within or outside of academia! If you are interested in to deepen your knowledge in my field of research, and to invest in developing your personal skills to benefit your future career, then contact me for the possibilities for doing a Ph.D. under my supervision. I hold the right towards promotion (ius promovendi) and Eindhoven University of Technology offers attractive opportunities for external Ph.D. candidates ("externe promovendi"). We offer you a customized trajectory of 3 to 5 years in which you can combine the work at your company with a Ph.D. project at the university. On request, I also provide in-company workshops and seminars for top management teams or employees. Do you as a manager want to know ... ... where in your firm interventions are needed to improve your services and products?... how you can better motivate your frontline employees to go the extra mile to satisfy the customer?... how you can use information from customers in your new product/service development process?... what it takes to create team climates that foster service excellence?... which employees should be assigned to which service jobs to maximize efficiency and/or innovation potential? Then contact me for further information! Jeroen Schepers holds an MSc and a BSc in Information Management (with honors) from the Faculty of Economics, Tilburg University, He has published papers in ournal of Marketing, Journal of the Academy of Marketing Science, International Journal of Research in Marketing, Journal of Service Research, Journal of Product Innovation Management, Journal of Business Research, Industrial Marketing Management, Information & Management, among others. In addition, he has presented and contributed to proceedings of Frontiers in Service Conference, Marketing Science Conference, the European Marketing Academy Conference, and Society for Marketing Advances Conference. He has won several best paper awards at the annual AMA Winter Marketing Educators’ Conference and is a dedicated educator and trainer. Jeroen is a reviewer for Journal of Service Research, MIS Quarterly, Journal of Organizational Behavior and Information & Management. He is a member of American Marketing Association (AMA), AMA Service Special Interest Group (SERVSIG), European Marketing Academy and Beta Research School for Operations Management and Logistics. Are conservative approaches to new product selling a blessing in disguise?